A State of Emergency has just been declared in Kokomo, Indiana after an EF3 tornado tore through the city. This tornado was part of a swarm of tornadoes that impacted the state and neighboring Ohio. 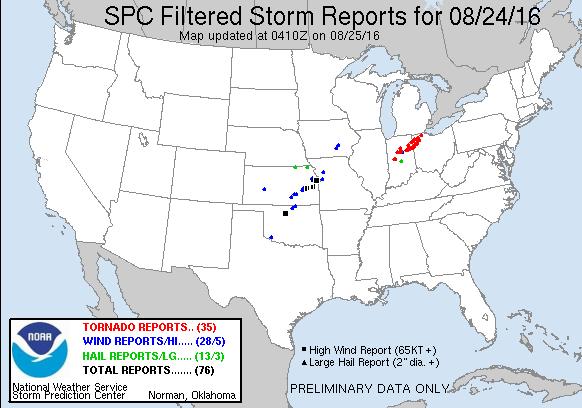 Yesterday’s Indiana Tornado Outbreak spawned over 35 tornadoes. While tornado outbreaks are not uncommon to this part of the country, statistically spring is the most likely time for tornado outbreaks to occur. However, it should be noted that tornadoes and ‘tornado outbreaks’ – defined by the Storm Prediction Center as a cluster of at least 6 tornadoes – can occur any time of year when conditions are favorable. So what exactly is the Bulk Richardson Number, BRN? Essentially, the BRN is a calculation for the amount of mid level CAPE or instability, in proportion to the strength of vertical wind shear. Too much shear, and too little CAPE, storms become outflow dominant, just the right amount of shear, and just the right amount of CAPE, A.KA. “goldilocks effect” and the storm is likely to be able to sustain its organization. A well organized supercell is the most common storm mode for the formation of tornadoes. What other ingredients were “just right” for the Indiana Tornado Outbreak to occur? 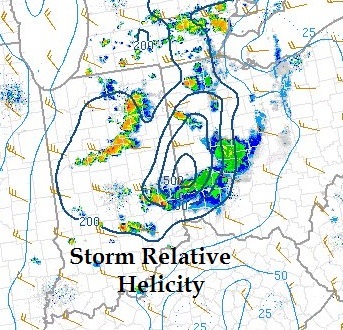 Coupled with just the “right amount of Instability” and the “right amount of shear” – the low level winds were in the most favorable position to enhance the storm’s rotation – this phenomenon is called helicity. 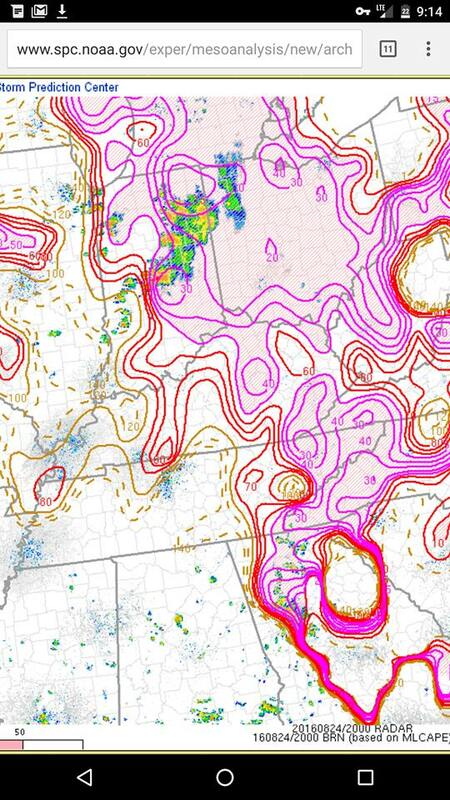 The devastating Indiana Tornado Outbreak had over 200 m2/s2 of helicity to work with. It just goes to show, tornadoes can and do happen whenever the conditions are right, regardless of the time of year.